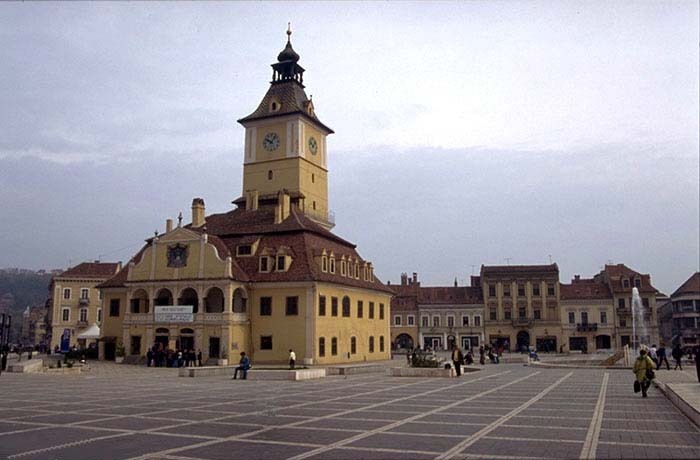 The most recent car booking in Ploiesti has been made on our website 4469 minutes ago. In Ploiesti, we offer for rental 4+ car categories from 2+ rental suppliers. Wide choice of offers. OrangeSmile.com is collecting absolutely all offers from the majority of vehicle providers in Ploiesti, therefore we are able to select and offer you the best rental options for almost any dates. Besides vehicles of standard types, we also provide in Romania such rare car types as cabriolets, limousines, crossovers, and minivans. Customer support. We provide a full-cycle customer support in English at the reservation time and during the whole hire period until the end of your rental in Ploiesti. You can always use our contacts to call us (+35 323 888 30 11 and +31 40 40 150 44) or write an email (support@orangesmile.com) for direct communication. Best rates guaranteed. Simply compare our rental rates for Ploiesti (all the prices are indicated with an 'All Inclusive' package) with the rates on other car reservation websites, and you will see how attractive our prices are. We check the competitiveness of our prices for Romania almost every day. Break Down Assistance. The 'Help on the road' package is already included in the rental for most of our car offers in Romania. Check this by reviewing your rental conditions, please. In case the package is not included, you can always add it at the rental desk in Ploiesti. We wish you only green lights on the roads around Ploiesti! Various vegetables make up the basis of the regional cuisine of Brasov. Vegetables are actively used in both first-course and second-course dishes. In local restaurants, visitors will always find a great choice of stuffed peppers, eggplants, and marrows. The regional cuisine is also famous for its vegetable ragouts – there are hundreds of ragout recipes for any taste. Vegetable ragouts are also a popular garnish to meat and fish. When it comes to meat, pork is used in the majority of meat dishes. Poultry is also widely used in the regional cuisine. Tourists will also find unusual restaurants in Brasov that offer unique food with the game. Naturally, the prices are relatively high at such restaurants, but that doesn’t scare out numerous visitors of these dining establishments. There are always people who want to try bear pads hotplate or lamb cooked in clay. The unusual cooking method of the second dish has been developed yet in the Middle Ages. Mămăligă remains the most popular garnish to many meat dishes. This is a traditional porridge made of cornmeal. For many travelers, Mămăligă may taste similar to the classic Italian polenta. This simple garnish has one important advantage – it doesn’t have its own strong taste. Instead, Mămăligă easily absorbs the unique taste and flavor of the dish it is served with.